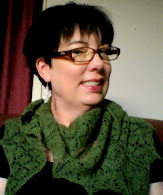 FayKnits: Creative Space: Still Knitting! This is my creative space! 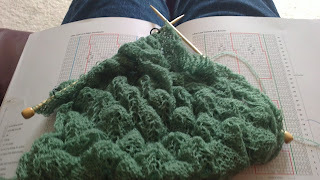 Still knitting away! 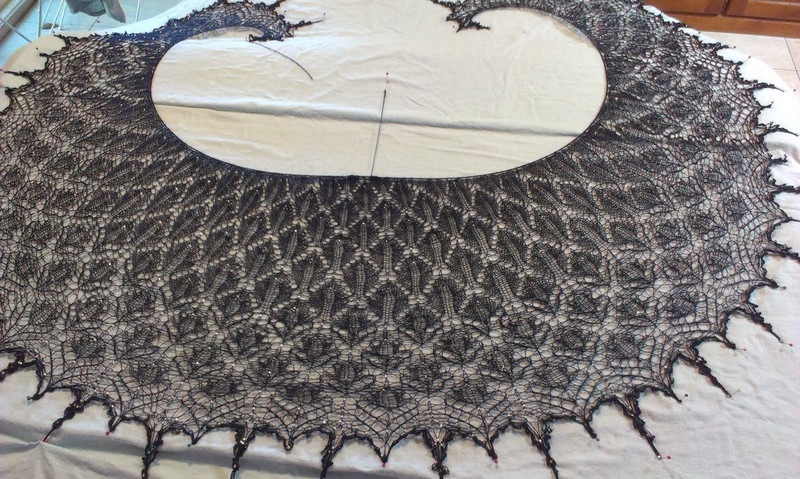 I'm determined to finish this shawl by the end of next week, as I have many more exciting projects to start! 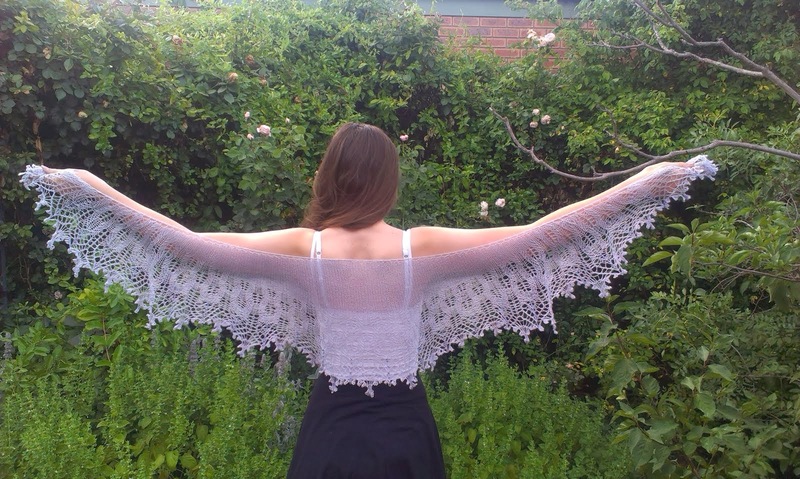 I just adore Ravelry and spend way too much time there looking at patterns and groups. 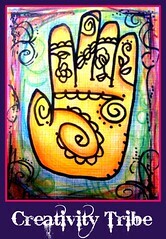 I'm also in love with the website www.earthfaire.com. I'm surely going to have to make a purchase there shortly! 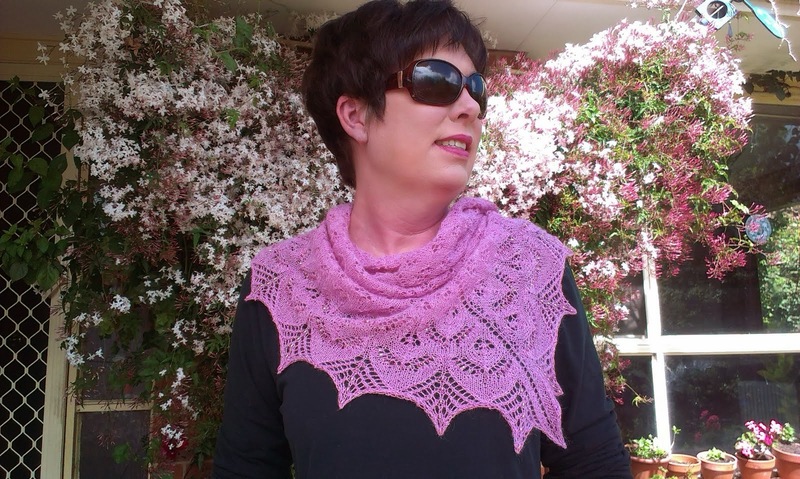 I bought the lovely yarn I'm knitting this Lilac Leaves Shawl from Yarn Soft. A fabulous Australian store in W.A. 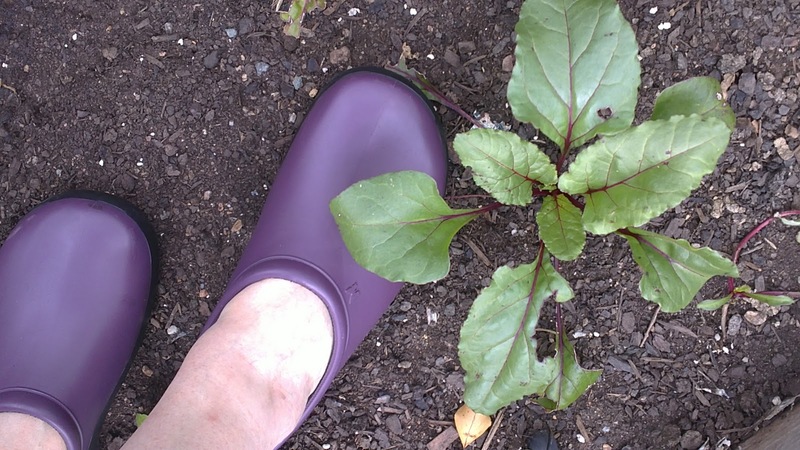 Check out my swollen arthritic ankles in my gorgeous new gardening shoes! They are a lovely purple (the shoes, not my ankles! ), and I have not taken them off since I got them! 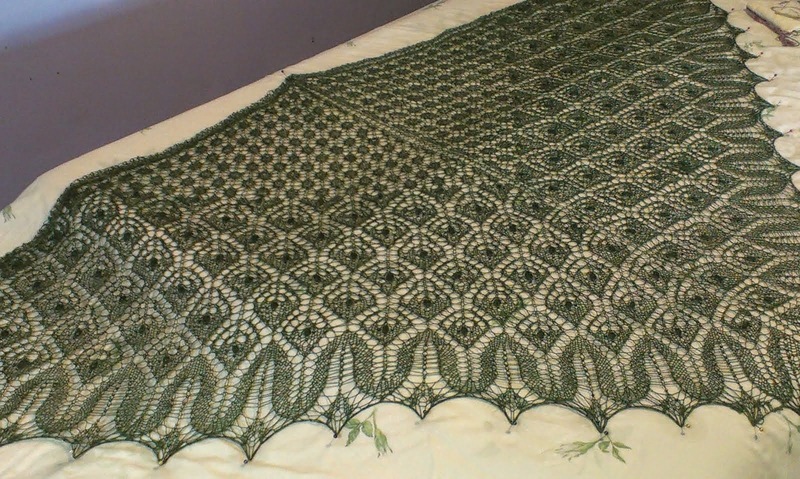 I've spent many an afternoon sat happily knitting this shawl as the arthritis in my ankles, knees and hips is particularly bad at the moment. I do have to get up every 5 rows or so to stretch and bend! Beetroot is growing in the patch also -although getting eaten by something I see! Golly I love my shoes! Keep up with the creativity and visit Kirsty! I have just had a look at your knitting and you are so clever! Oh, and i love your gardening clogs too. merci beaucoup. i'm aspiring to your level of craftiness. 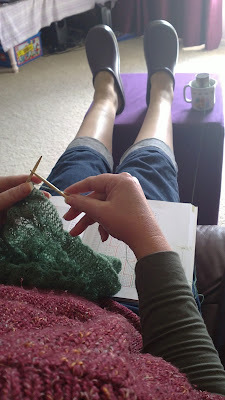 That looks like a great way to spend a Thursday - feet up, crafting away :-) The shawl is looking so lovely, and snuggly. 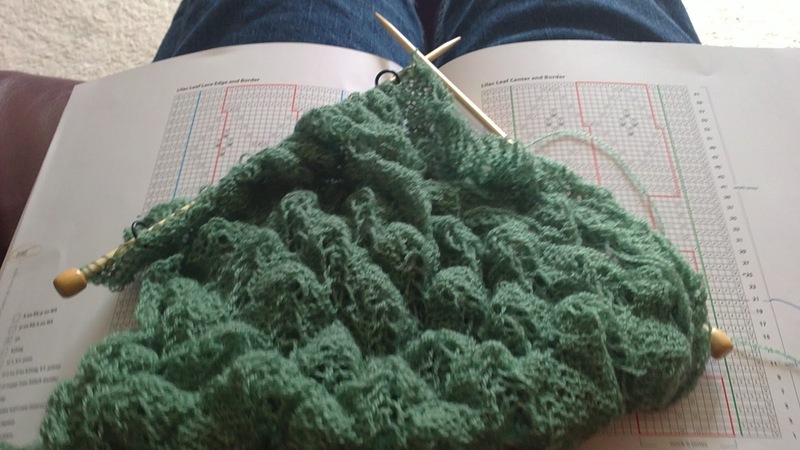 Knitting is coming along nicely. Don't you just love when flowers live happily in the vegi patch. I had my best hollyhocks in there this year. 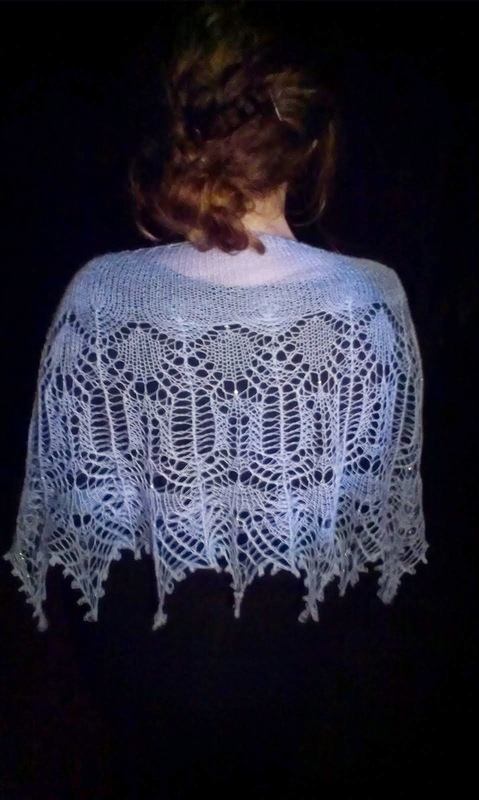 Good work on the shawl! YOu can do it! I love that photo of you knitting! Fun purple shoes! 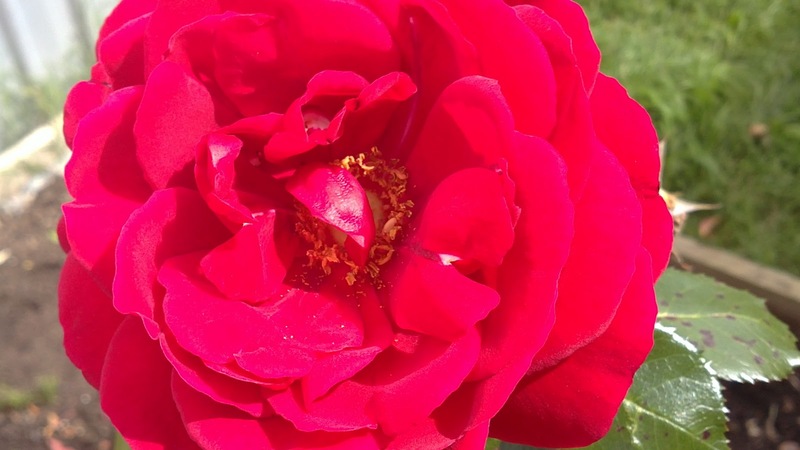 Thanks for sharing the rose. Ours are all still to come, but things are starting to grow here. Oh, my, would they be a pair of 'sloggers' you have on there? I was eyeing off just such a pair today in the garden centre..very tempted. 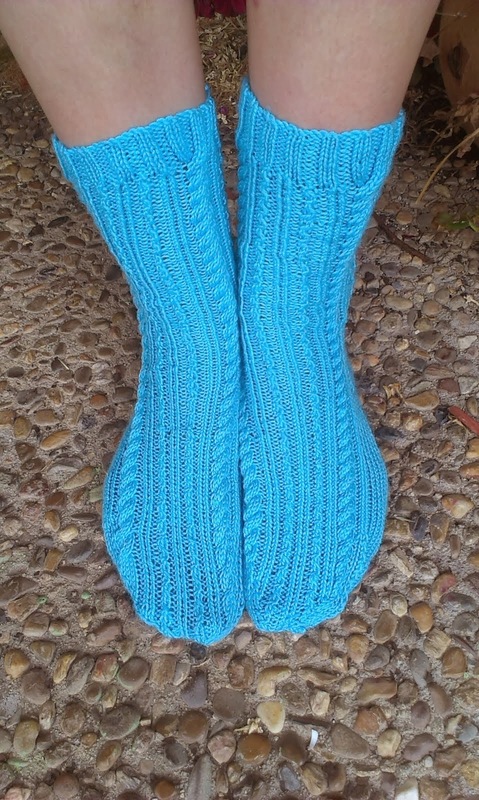 Your knitting is looking lovely! Thanks for stopping by my wee little Blog, your blog is beauttiful and I have added it to my faves! 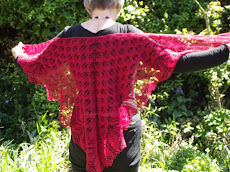 Your shawl is beautiful, I wish I had the patience to knit a shawl. Thank you for dropping by my blog, and leaving a comment, hopefully I'll see you again soon. 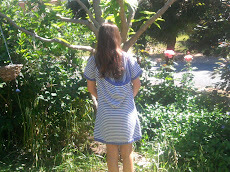 Thanks for coming by my little corner of the blogosphere. Sorry to hear your ankles are giving you issues...however, those gardening shoes are the best. I have a pair of blue ones, pink ones and red ones just like that. But I have never seen pretty purply ones before. Now I am going to be on a mission. The knitting is looking mighty good.